Ah, the fresh bagel. Even a bad bagel can't be that bad if it's fresh. Well, I don't know, but there's something about the hot out-of-the-oven effect that's pretty hard to deny. 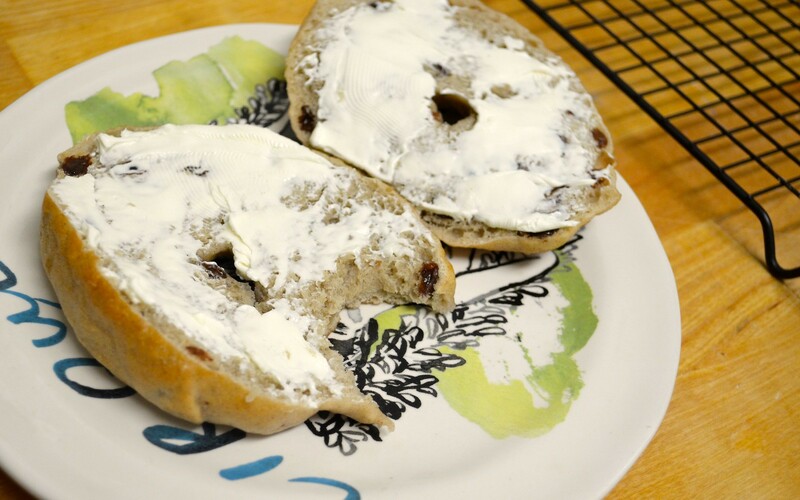 Even though I've tried my hand at bagels before and started out with a fancier flavor, on my second attempt I decided to go with a classic that I've always loved: cinnamon raisin. 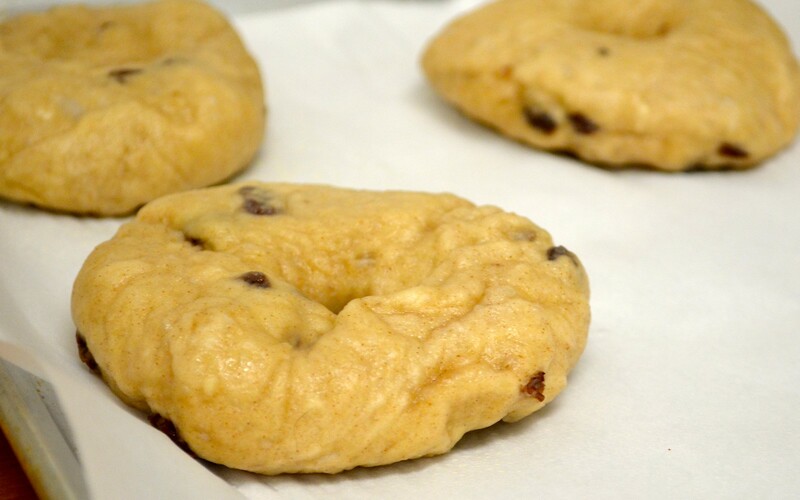 Even though an everything bagel has my heart with the salty-garlicy-seedy texture, there's something about a warm, cinnamon raisin bagel that speaks to my soul. 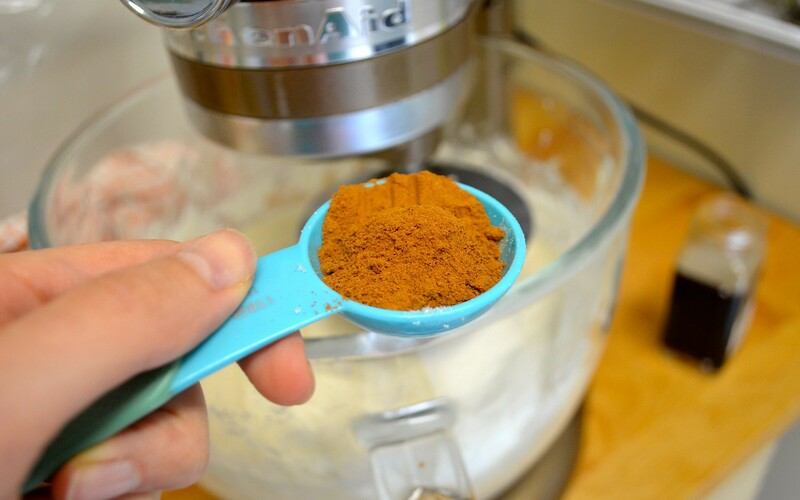 In the bowl of a stand mixed (without yet employing the mixer itself), hand-whisk your yeast into the 4 cups of flour and then add your water (definitely be sure it's neither hot nor cold, as this will affect your very temperamental yeast and the rise quality). Whisk together to form what will look like a thick, sticky pancake batter. Cover tightly with plastic wrap and store in a dark place for 2 hours. (I like to do my rising processes in the oven, where it's slightly warm which helps promote the dough to rise.) After 2 hours this mixture should be foamy and about doubled in size. 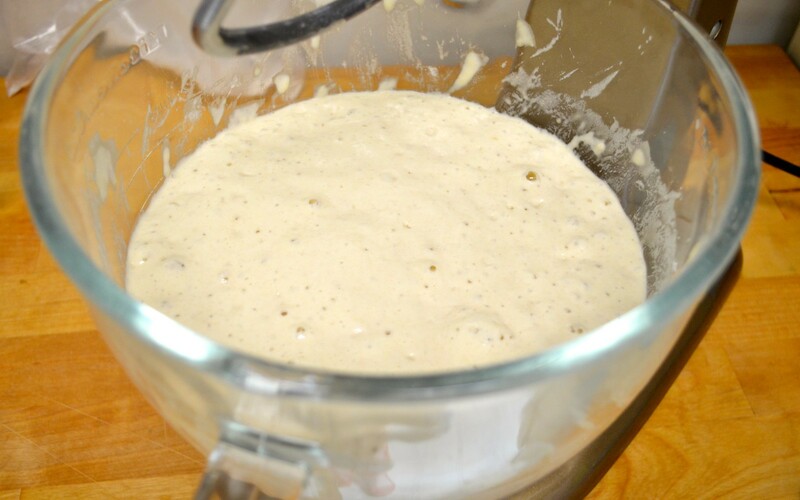 Using the dough hook attachment, add your second teaspoon of yeast to your sponge mixture and stir. Add three cups of your additional bread flour, your cinnamon, sugar, salt and brown sugar and stir on a low speed until the dough starts to form a ball. (It will still be pretty loose and sticky at this stage.) 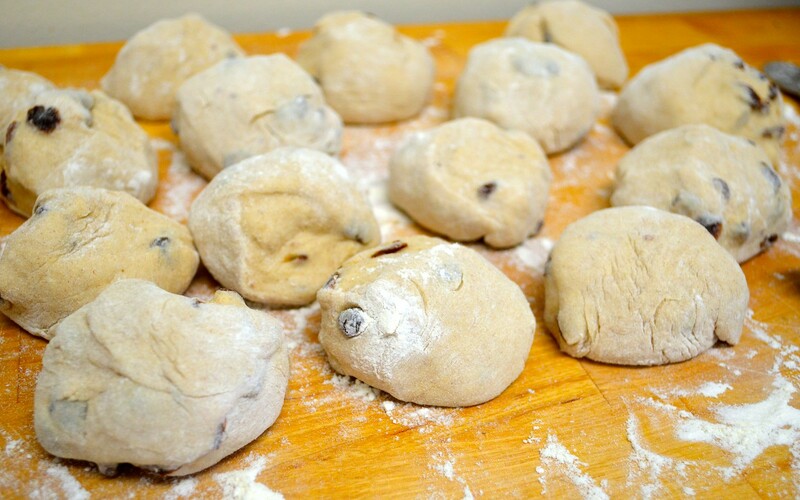 Slowly work in your remaining 3/4 cup of flour until the dough ball comes together more completely. 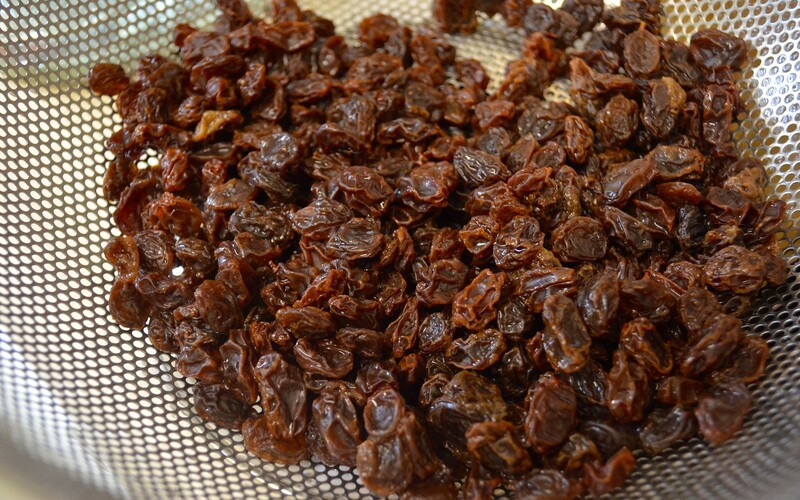 Continue stirring and add your raisins. 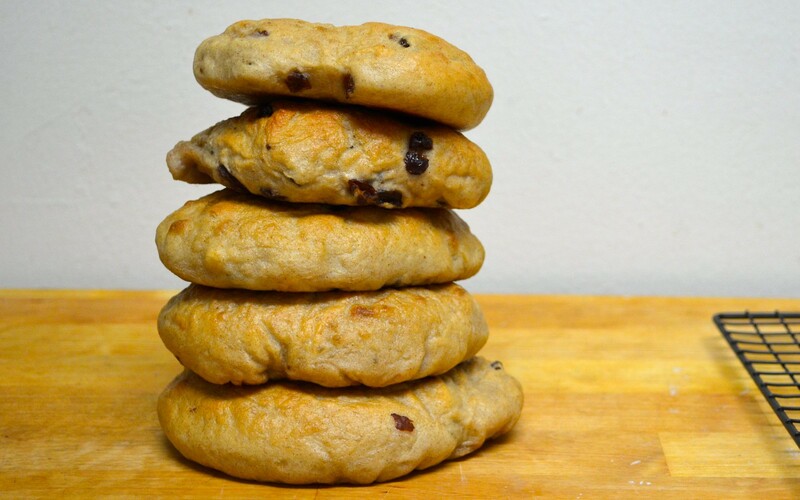 The raisins may reintroduce some stickiness back into the dough and if that's the case, add a bit more flour until the consistency is elastic but not sticky. 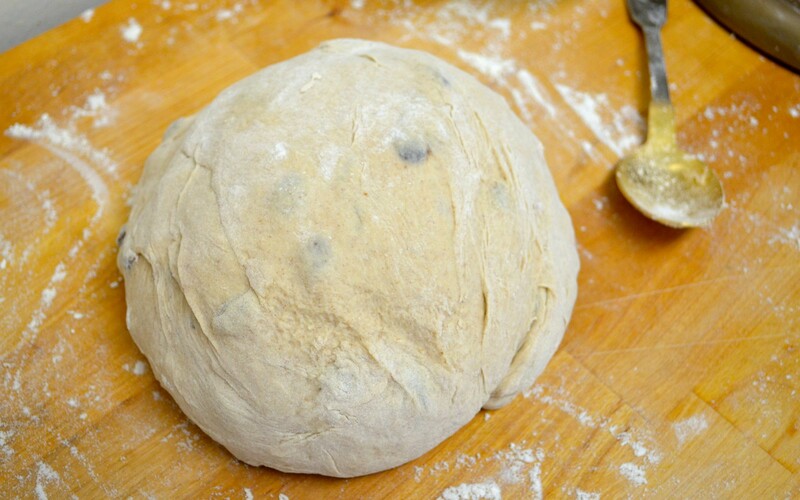 Allow the mixer to run on low for about 6-8 minutes or until the dough is properly kneaded. 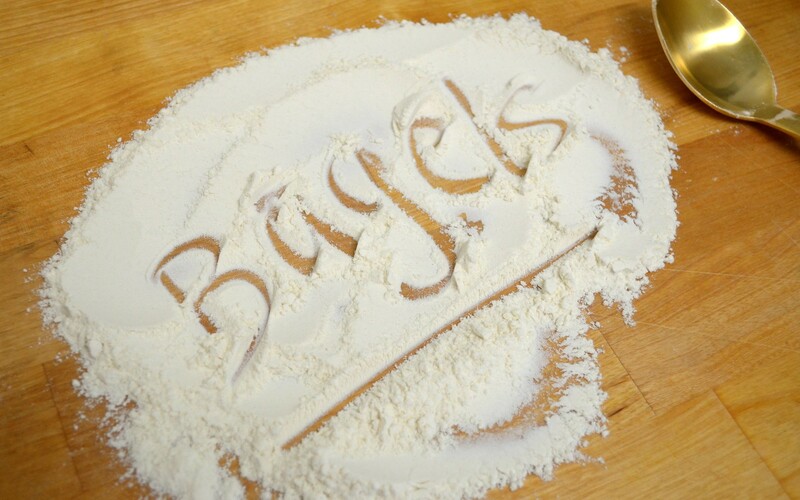 Transfer your dough onto a well-floured surface (definitely flour your hands, too, as the dough will be very dough and pliable AKA FUN). 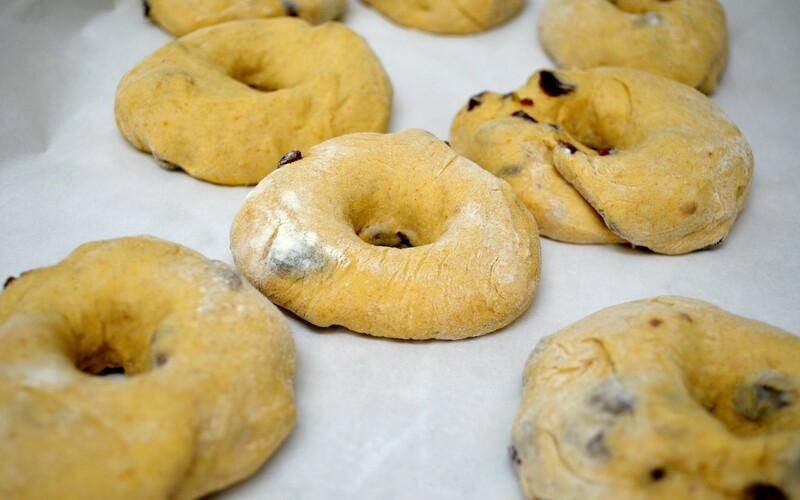 Using a floured dough cutter, divide your dough into 16 even pieces (or you can do 12 if you're into monster bagels, as we all should be). Arrange side by side (but no touching), cover with a damp towel and let rest for 20 minutes. After these three hours have passed (during which it's best to leave the kitchen or the apartment entirely to distract yourself), preheat your oven to 500 degrees. Get a large (and preferably wide) pot of water boiling. Once the water has begun to boil, add 1 tablespoon of baking soda. 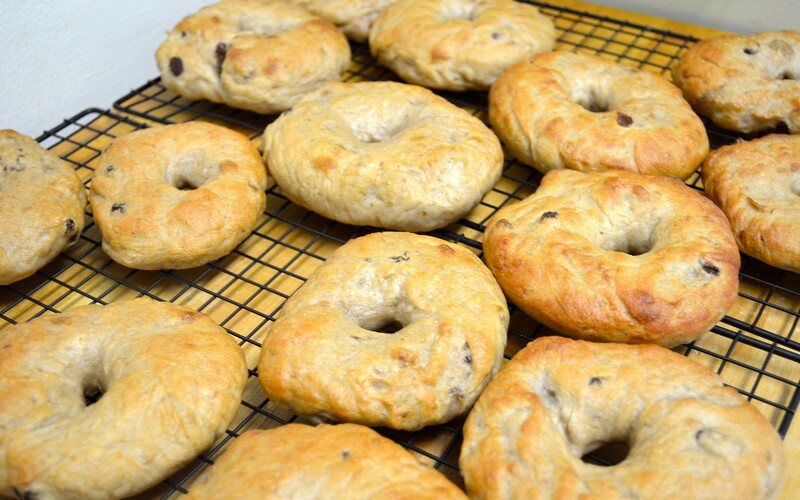 Drop your bagels in (about 2-4 at a time, depending on the wideness of your pot) and boil at 1 minute per side. 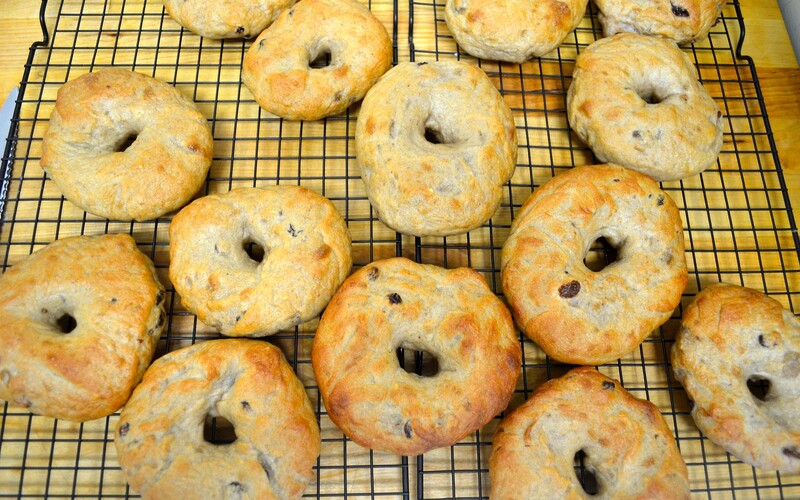 Place removed bagels back on a well-greased parchment-lined baking sheet. Repeat until all bagels have been boiled. Transfer your baking sheets (probably one at a time is best) to the oven and bake for 5 minutes. 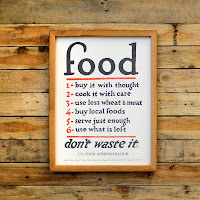 After the first 5, rotate your baking sheet 180-degrees and bake for another 5 or until golden brown on top. Remove and repeat until all your bagels are baked. The kitchen will smell INSANE. 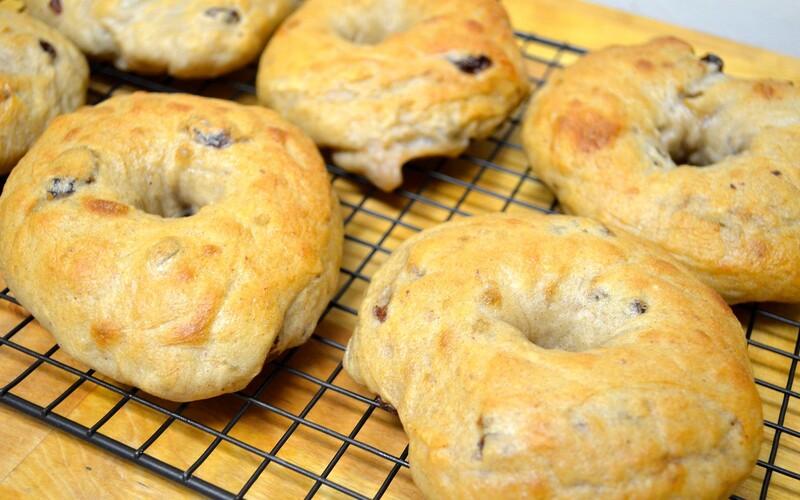 These are so good that they don't even need any sort of topping or schmear (I know, bagel blasphemy), but seriously. I mean you probably can/should use some cream cheese like every good New Jersey girl does. All I'm saying is, if you didn't, they would still be amazing. They also freeze like magic for those busy mornings when you want a breakfast that's fast and delicious and not cereal out of the box. Just pop in the toaster and it's just like they came out of then oven all over again.